You can import media on your local hard drive into Scalar, as long as each file is no larger than 2 MB. 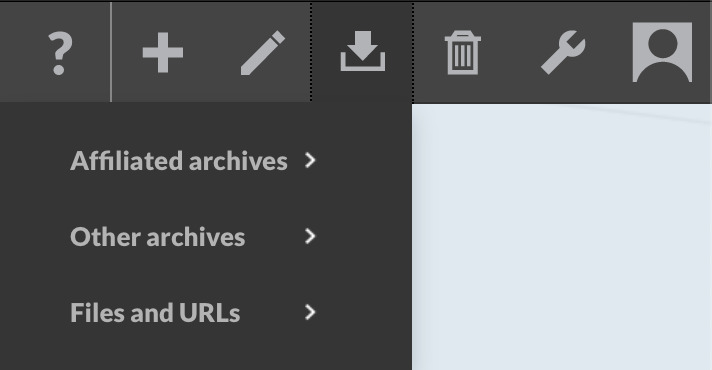 To do so, click the import icon on your Scalar header bar and select "Local media files". The Import Media Files screen will appear. Enter a title and description for the media. The title is required, the description optional but recommended, as it will be used as a caption for the media in specific places in Scalar. Select the location where you want the media file to be uploaded. Usually the default "/media" location is best, as it helps ensure media file names won't collide with the names of pages in your book. 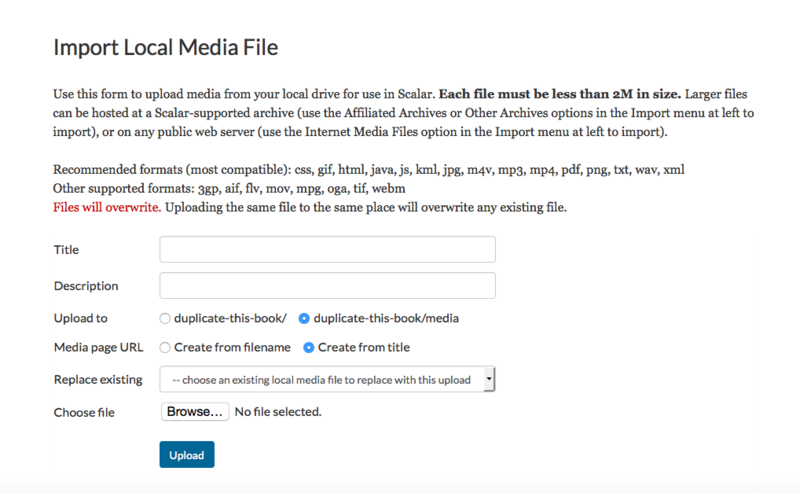 Decide whether you want the URL of the media file page in your book to be derived from the title you entered above, or the filename of the media itself. Use the "Choose File" button to select the file you want to upload, and then click "Upload". If all goes well, you'll be taken to the page for the newly added media file in your book.